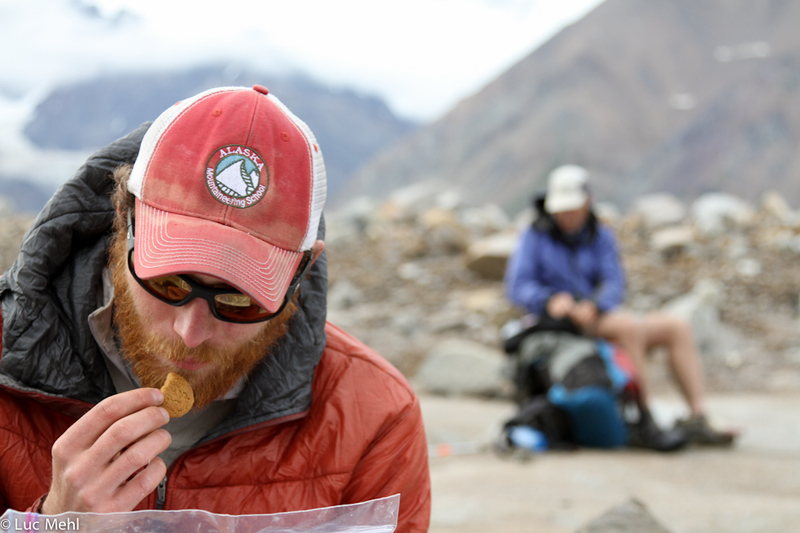 We’ve been following the 2/lbs of food per day rule of thumb for backcountry trips. 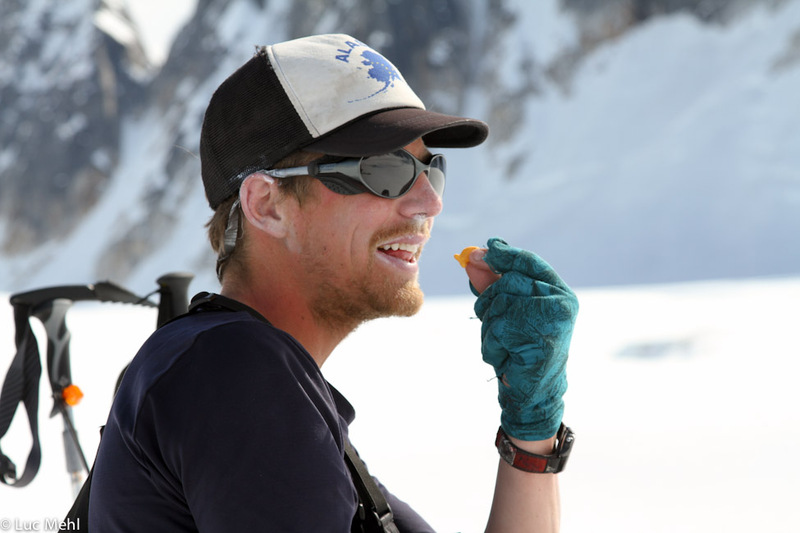 1.5 lbs/day would have worked on some trips, and some of the younger guys need 2.5 lbs/day. I pay attention to calories per gram for various foods because two pounds of food averaging 4 cal/g, comes to ~4000 cal/day. Even with 4000 cal/day, I can lose as much as 0.5 pounds of body mass per day. I try to gain weight before big trips. An excellent (and fun) resource for calories/gram is Calorie King. My priority for breakfast and lunch is 4+ cal/gram and bringing foods that will taste good. I don’t carry anything specifically for breakfast, though I’m in the habit of ramen in the morning, especially on winter trips. If it isn’t cold or I want to conserve water, I eat it raw. Otherwise, I cook it in extra water to help with hydration. I carry 0.5 lbs of dinner food per day. 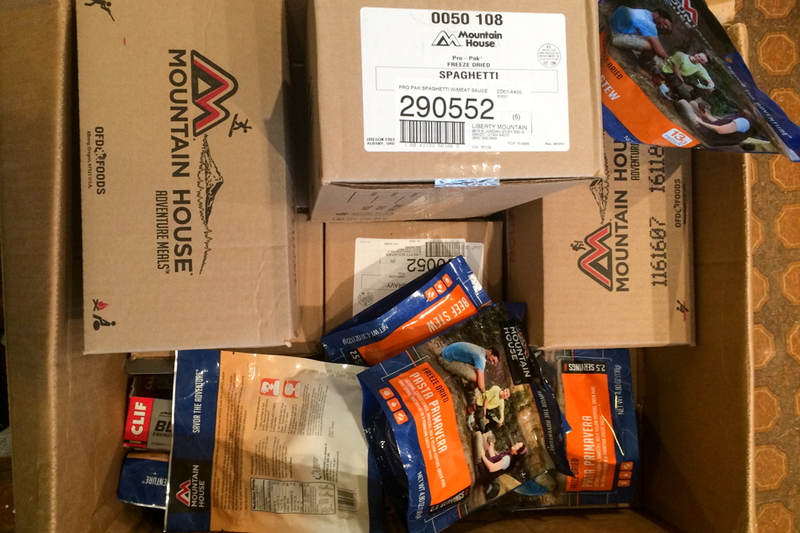 The Mountain House ProPaks (slightly smaller portions, vacuum packed bags that are significantly lower volume in the pack) are extremely effective fuel for me, enough that I don’t even flinch at the cost (they are cheapest at WalMart). Part of the appeal is that I can tuck the re-hydrating pack into my jacket for a bonus heat source. This has resulted in explosions in our jackets and sleeping bags. The ProPaks weigh 0.25 lbs, and I ‘boost’ them with butter, cheese, meat, or coconut butter to reach my 0.5 lb goal. We call these ‘ProPak Pluses.’ Everyone has their own preferences, but the stand-out is Lasagna. Chili Mac with Beef, Spaghetti, Beef Stew, Biscuits and Gravy, and Pasta Prima are next for me, in that order. I avoid all the others. I don’t like most of the other brands either. *Hot tip: The Lasagna cheese doesn’t stick to wooden spoons! I really appreciate flavored drinks, they help me motivate to keep drinking. I like the crystal light packets. EmergenC is nice too, but I get tired of the flavors and I always resent that it doesn’t work as an electrolyte. Electrolyte pills/powders are very effective for me, but the cost usually limits how many I carry. We strip as much of the original packaging as possible and smash everything down for volume. Kids are especially appreciative if they get to watch you smash ships and roll pizza into balls. I like having my food divided into 2-day packages so that I can monitor consumption. 2 days of day food fits in a one-gallon ziploc bag, and I add food until the bag is at 3 lbs. 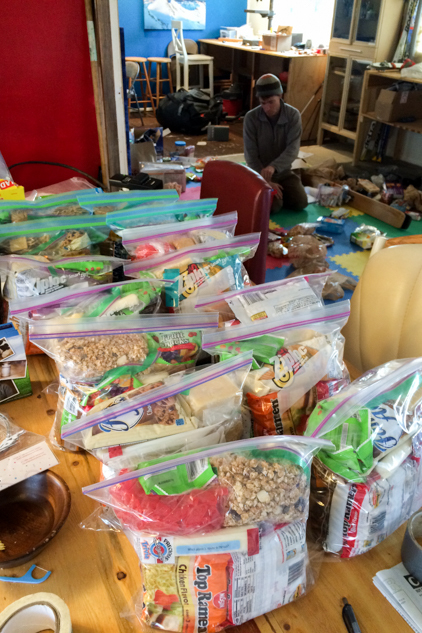 I leave my Mountain House dinners in their original packages (some guys repackage them to save weight).